Since I first started looking at App-V (4.1) back in 2006 – there was one feature that has always been wished upon. Right-click menus – aka shell extensions. Why? Since day 1 – part of the App-V training has been to sequence a “simple” application. Such as WinZip, WinRar or any other common compression utility part of any standard desktop deployment. However, when deploying this in production a single topic always surfaced and gave App-V a bad reputation within all companies. Shell extensions were not supported as an extension. In essence – the knowledge the operating system had about any existence of a virtual application was shortcuts and file type associations. It has taken from 2006 and up until App-V 5.0 RTM in 2012 until this changed in anyway. App-V 5.0 introduced major feature changes in this area and this of course brought a lot of hope up. This hope has now turned into reality. I can not praise Microsoft enough to finally provide us with this feature request. 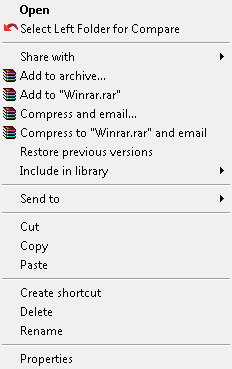 As you can see – both WinRar and Beyond Compare have been deployed to a client, and as soon as a right-click menu is presented with the options – the package is in use. What do you need todo during sequencing to make this work? Nothing – it just works! Finally – we can truly aim for that 100% virtualized applications scenario being in reach for any environment. Its not quite there, but it is not far away. Have you had any issues with shell extensions since publishing this article? I am trying to do winzip and I cannot get the right click Winzip options to show up. 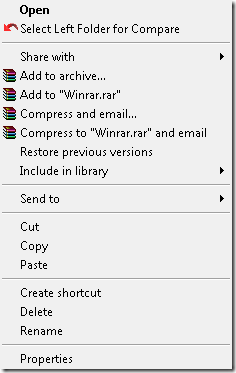 If I right click on a .zip file, I have the open with Winzip option. Also, related to the above, when I run winzip I get the dialog about .zip and .zipx not being associated to Winzip. But all of the assoications are in place. If I click yes on the dialog, all of the extensions get written to the HKEY_CURRENT_USERSoftwareClassesAppVClientPackagesAF526BD2-D3F1-4CBD-AE08-44ACF5296A35RegistryUserS-1-5-21-682003330-1275210071-1801674531-598433_Classes.. area. Winzip stops complaining after that. So how do I get the FTA information to the proper place to begin with so winzip will not display the dialog? And does how the app is published have any effect on all of this? I have tried publishing globally and per user but it did not help. Do I need to tell it to publish with the xml config files? Any help is appreciated. I am sure I am doing something wrong, but I cannot figure it out. Trying to get our App-V 5 stuff moving forward and I thought Winzip would be a good one to show management. This just worked out of the box when testing App-V 5.0 SP2 Beta – if you have issues you can always report it on Connect!